For that upbeat event or seasonal display, here’s your solution! 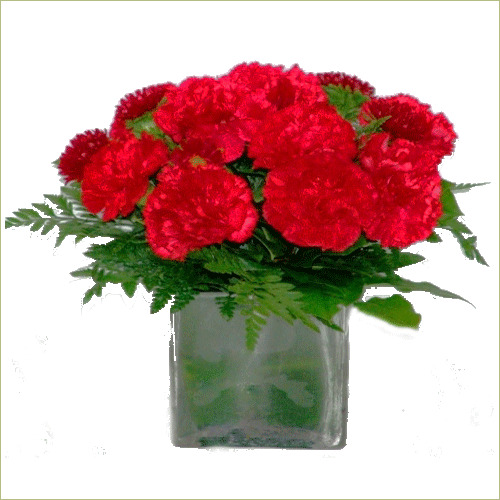 Neatly packaged Carnations in a cubical vase, Blazing Glory is ready to go! Deluxe arrangement includes 18 stems.